In this fantastic location Residence and Spa, we offer several types of apartments and cottages for varying numbers of people. There is an apartment for four people (FR-14510-04) with one bedroom with two single beds and a sofa bed in the living room while a place to sleep for another two persons. A larger apartment which is for 6 persons (FR-14150-05), which has two bedrooms, one with a double bed and a twin. In the living room there is also a double sofa bed. The apartment for 8 persons (FR-14150-06) has a double sofa bed and a sleeping alcove with bunk beds (upper bed from 6 years). In addition, there is a bedroom with a double bed and a bedroom with two single beds. The house for 4 persons (FR-14510-07) has a separate bedroom with two single beds. is a double sofa bed in the living room. This is also the case in the six-person home (FR-14510-08). In addition, the house has a bedroom with a double bed and a bedroom with two single beds. There is also an 8-person home (FR-14510-09) has a double sofa bed and sleeping alcove with bunk beds (for 6 years) are present in the living room for two people. Furthermore, the house has a bedroom with a double bed and a bedroom with two single beds. All apartments and cottages feature a balcony or terrace. Incidentally limits all corners kitchen to the living room. They also all feature a dishwasher, Nespresso, microwave, refrigerator, toaster and kettle. Wi-Fi is free of charge and has basic access in all apartments. Some apartments are duplex. These are located on the first floor. By contrast, all duplex cottages. Résidence Le Domaine des Dunettes 3p6p. This residence is located in the heart of Cabourg and consists of apartments spread over 5 small buildings built in the typical Norman style. The apartments on the ground floor have a garden, while those on the upper floors have a balcony or terrace except the 2p2/4 accommodations. The complex has a reception, a heated outdoor swimming pool (open from June to mid-September), free parking and a playground for children. For an additional fee you can rent a baby package (baby cot, highchair and children's pool) and access Wi-Fi internet. Bed linen is included in the rent. There are shops and a sandy beach just 500 meters from the residence. An address in the heart of the resort Animated throughout the year, Cabourg, refuge in Belle Epoque charm, invites you to take a walk on the famous Promenade Marcel Proust bordering a vast sandy beach. Norman style, living or staying in the heart of the resort and near the beach. You stay in apartments equipped with Wi-Fi access (for a fee). If you choose a 3-room apartment, you can enjoy a garden or balcony. At your disposal: a playground for children, laundry (for a fee) and a car park 14 x 3 rooms 6 people ground floor are equipped for the disabled. The seaside resort of Cabourg (on the Normandy coast), with its huge beach of fine sand, offers plenty of opportunity for sporting and recreational activities, for example, sailing, tennis, karting, ATV, mini-golf, bowling, and walks along the famous Marcel Proust Promenade. For horse lovers there are organized horse racing evenings and events at the Hippodrome every Tuesday and Friday evening. If you are interested in a cultural discovery of Normandy, do not miss the opportunity to visit the Côte Fleurie with its seaside villas dating back to the nineteenth century, such as Honfleur, Deauville, Trouville and Houlgate. The attractions of Caen, for example the Memorial de la paix (Memorial of the Peace) and the Abbayes aux Hommes et aux Dames (abbeys of men and women), are also worth a visit. In addition, the seaside resort invites you to participate in the show "Un monde equestre à Cabourg" (A horse world in Cabourg) which takes place on June 1, or the Festival du film / Journees romantiques (Film Festival / Romantic Days) in the period from 12.06 to 16.06, or the Jumping de Cabourg in September. Additional services (baby kit hire, Wi-FI access) must be paid locally. A deposit of € 300 must be paid (by check, credit card or cash) on arrival and will be refunded after inventory on the day of departure, or by mail. The accommodation must be left spotlessly clean, if that is not the case, you will only receive a part of the deposit. The city tax must be paid on arrival. Pets are allowed for an additional fee of € 50 / stay. Please note that any additional services that are payable locally may be changed without prior notice. All information provided is intended to be informative and general. We are not liable if such changes occur unexpectedly. Option booking not available Please note: the rates do not include the mandatory hirers' liability insurance. This small amount is a percentage of the rental sum starting from 10 Euros per reservation. Résidence La Ferme de Deauville. 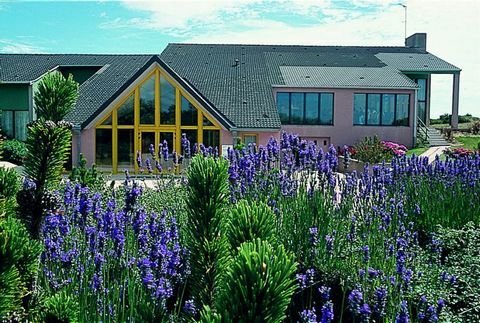 The residence, located in Saint Arnould in the Calvados region, is only a stone's throw away from the golf course and the race track. The Deauville and Norman beaches are just 4 km away. The nearest shops can be found at a distance of 800 meters. 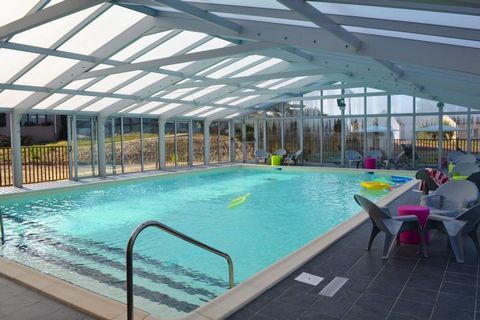 Guests can make free use of the swimming pool in Deauville, 3 km away. The accommodations range from an apartment with two rooms for 2-4 persons to an apartment with six rooms for 10 people, all fully equipped with a kitchen corner with electric plates, oven and dishwasher, bathroom with toilet or separate toilet, free television, balcony or a small garden. Located in the heart of a lovely, green setting close to the golf course and racecourse with the first shops 350m away and the famous resort of Deauville and the beautiful Normandy coast around 4km away, this modern residence has been built in the style of a charming, traditional farm. The property features several holiday rental types: 1 bedroom apartments for 4-5 people, 2 bedroom apartments for 6 to 7 people, 3 bedroom apartments for 8 people and 5 bedroom apartments for 10 people. All accommodation has a TV and free Wifi and is comfortably equipped with a private balcony or garden. Three 1 bedroom apartments for 4/5 people are accessible to guests with disabilities. At your disposal : free outdooor parking, multi-sports ground, indoor, heated swimming pool, laundry facilities (extra charge). 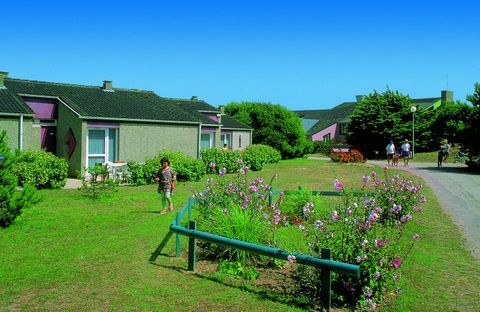 Saint Arnoult in the Calvados region is right next to the famous seaside resort in Deauvillle, at the foot of the Canisy in Normandy. The location is ideal, you can enjoy the natural treasures of the Flower Coast and the beautiful beaches of Deauville, the peaceful and peaceful environment and the towns of Normandy. Through Saint Arnoult runs the beautiful river La Touques, treat yourself to a holiday on the coast in Deauville with casino, racetrack, elegant country houses, luxury boutiques, gigantic beaches, famous for, among others, Claude Lelouch. In Normandy you will find Deauville, Caboug and Honfleur a few minutes away. As a guest you can make use of free television and WiFi internet in the apartments, laundry for a fee, free outdoor parking space and a heated indoor pool with children's pool. You will also find play space for the children here. Bed linen is included in the rent. For an additional fee you can book a baby package, the final cleaning. Shops can be found a kilometer away. The deposit and tourist tax must be paid on arrival at the location. The down payment is returned on the day of departure or with the post after the inventory. The accommodation must be spotlessly clean, otherwise you will receive only a part of the down payment. Pets are allowed for a fee if they have a valid vaccination certificate and tattoo, provided they stay on the leash at the residence. Please note that any additional services that can be paid locally can be changed without prior notice. All information provided is intended as informative and general. We are not liable if such changes occur unexpectedly. Option booking not available Please note: the rates do not include the mandatory hirers' liability insurance. This small amount is a percentage of the rental sum starting from 10 Euros per reservation. Discover the Cotentin Peninsula and the Channel Islands. The accommodations of the holiday village have been recently renovated. In a setting of 6 hectares scattered with dunes, the holiday village is composed of 100 detached houses, divided in hamlets. Facilities and leisure: Laundry, parking. Bar / snack-bar throughout the season. Library. Baby foot. Stadium for sports (volleyball, basketball, football, badminton), boules court, slackline, the Square with games for children. Mountain bike trails, hiking and nature trails. Vegetable garden. Heated indoor swimming pool (13 x 9 meters) - unsupervised Fitness area: jacuzzi, hammam and fitness activity sessions during school holidays Animations for children, adolescents and adults during the school holidays. Highlights of the village: Accommodations renovated in 2012. The English Channel and beaches less than 500 meters away. In all accommodations: The accommodations are all equipped with a kitchenette (dishwasher, microwave, traditional oven, four ceramic hotplates, refrigerator with freezer, coffee maker, kettle, toaster), bathroom with shower, sink, toilet and a terrace with garden furniture. Gite 4 rooms 8 persons Surface: 52 m² Living room with sofa bed (recommended for a child under 10 years old), kitchen area Bedroom with 2 single beds (80) Bedroom 2 bunk beds (80) Double bedroom + shower room, toilet not separated. Shower room, separate WC. Terrace + garden furniture. A baby bed can be added in the bedroom with single beds. Please note that pictures regarding the interior of the accommodation are given with indicative title only. Bathroom package: bath towel, small towel, bath mat Comfort Plus Package: beds made on arrival, bathroom package, final cleaning *If this package is desired, all persons occupying the accommodation must book it. For a stay of 2 weeks or more, sheets and towels are changed once in mid-stay (beds not remade). Full board or half board option: bed linen and towels provided (beds made on arrival). Nature discovery: the Cotentin peninsula, Jersey and Guernsey, the Hague Cape, the Regional Park of Cotentin, the Val de Saire. Cultural discovery: the D-day landing beaches, the Museum of Liberty in Quinéville, the Museum of Sainte-Mère-L'Eglise, the Peace Memorial in Caen, Barfleur, one of the "Most Beautiful Villages of France", Cherbourg. Gastronomic discovery: camembert, cider, seafood. Sports discovery: fishing on foot, sea kayaking, golf 9 holes, hiking, biking. Tourist attractions: Barfleur: one of the "most beautiful villages in France". Cherbourg and the Cité de la Mer World War II: The D-day landing beaches (Utah Beach, Omaha Beach), the Museum of Liberty in Quinéville, Museum of airborne troops in Sainte-Mère-l'Eglise, the museum of the landing at Arromanches, the Batteries of Azeville, the Anglo-American cemeteries, the Peace memorial in Caen. The Cotentin peninsula The Mont Saint Michel The Channel Islands: Jersey and Guernsey. Natural sites: the marshes of Cotentin, the Hague Cape. Activities and leisure: water sports: sailing, kayaking, windsurfing, catamaran sailing; golf 9 holes (6 km away); fishing on foot. Please note that the week-end of 2 or 3 nights, the mid-week of 4 nights and the special packages (arrangements) are only available on request. In case you wish to make a booking for one of these please contact Tour Operator in advance in order to check the availability with the owner. Free services: Baby kit: baby bath, folding baby bed, highchair - to be booked in advance, subject to availability Baby equipment suitable for children up to 2 years old TV Parking WiFi only in the reception area Fee-paying services: Launderette Bath linen rental (bath towel, hand towel, bath math) Final cleaning Comfort plus package (beds made + towel kit + final cleaning) Bed linen rental Covered parking Other information: Fitness area: jacuzzi, hammam. Free access. Open daily from 10 am to 7 pm. Not allowed for children under 16 years old. Every week during school holidays, will be proposed 5 sessions of fitness activities included in the entertainment program (muscle toning, soft or tonic gym, stretching, water aerobics). Pets are accepted (except in common areas) in leash and with current vaccination certificate and tattoo or microchip, upon prior reservation and extra charge. Pets that are considered to be dangerous (especially dogs of category 1 and 2) and/ or animals which are not considered as pets will not be allowed. To be paid on the spot: the tourist tax (price per night per person starting from 13 years old). A deposit per accommodation is required on arrival and will be returned provided that the accommodation is left clean and in good order. Meal Plan For full board and half board, the occupancy of the accommodation must correspond to at least the total capacity proposed (paying guests) minus 1 bed except for studios 2 people where the occupation must correspond to the total capacity. Full board and half board meal plans are not available all season and may vary from one destination to another. Option booking not available Please note: the rates do not include the mandatory hirers' liability insurance. This small amount is a percentage of the rental sum starting from 10 Euros per reservation. Big House Bay of Mont Saint Michel close to the sea, St Jean Thomas. very quiet house, landscaped garden of 2500m2, south facing, beautiful view of the garden with palm trees, the forest and the village church of the 11th century beach overlooking the Mont Saint Michel. Honfleur House / House (see Ad 1750436). Timbered house 5 minutes from the center of Honfleur (10 min. From the beach) by car. Beautiful detached farmhouse dating from 1806, completely renovated, located in a haven of greenery idyllique. Vacation home Villa Morny in Deauville - Trouville, Normandy - 4 persons, 2 bedrooms. Property details interior: 3-room semi-detached house 70 m2 on 2 levels. Comfortable furnishings: entrance hall. Living/dining room with TV (flat screen), DVD. Exit to the terrace, to the patio. Located in Orne. Sublet.com Listing ID 3163187. For more information and pictures visit https:// ... /rent.asp and enter listing ID 3163187. Contact Sublet.com at ... if you have questions. Are you looking for tranquillity, nature and birds on your holiday? In that case, you will love this cosy, comfortable holiday home! This place is not about luxury, but all about the true holiday experience. Wake up to the sound of sheep and the singing of the birds. Enjoy your breakfast on the terrace, while you admire the views across the fields, which are often visited by migratory birds. There's even a stork's nest opposite your terrace! This beautifully renovated, 18th-century farmhouse consists of two parts: You'll have the annex to the right at your disposal. The friendly owner lives in the main part of the house. His terrace is on the other side of the house, so your privacy is guaranteed. The owner can provide you with some good tips about restaurants and the best places to buy local products such as calvados and camembert. This way, you'll be sure to get the best out of your stay in Normandy! You can get your groceries in Baupte (2.5km). The coast is only a 20-minute drive away. There's plenty to see and do in the area. You'll be staying in the heart of the Manche region, with its 350km long, magnificent coastline, offering many sandy beaches, cliffs, seaside resorts and fish restaurants. Your accommodation is a lovely place to return to after a day out. Light the barbecue and relax while you're enjoying a glass of fine wine, some fresh bread and delicious camembert cheese! Well-maintained accommodation on the ground floor of a traditional home in the centre of Bayeux. The apartment boasts a spacious layout and, in addition to the fully updated kitchen, has two spacious suites with their own bathrooms. From the living room you have access to a cosy and sunny (private) inner courtyard, which is a wonderful place to dine al fresco or simply kick back after a day of strolling the lovely medieval town of Bayeux. Besides its picturesque streets, charming boutiques and little restaurants, Bayeux also has a rich history. During the Second World War, Bayeux was the first major town to be liberated on D-Day. The government of liberated France was headquartered there for several days, after which the town became known as the capital of the liberation. Be sure to visit the memorial museum, the famous Tapestry and the magnificent cathedral. And don't forget to see the D-Day beaches as well. Attractive house is in the village of Montviette, with views of the valley. Two storey accommodation for sole occupancy. Large grounds with sunny and shady areas, enclosed garden with garden furniture and a barbeque. Detached house, set in a traditional timber-frame dwelling in a quiet and pleasant setting in a large wooded garden. The décor is harmonious and refined, the interior warm. Close to Lisieux and Livarot, the region is superb with plenty of footpaths. Residence le Domaine de la Corniche is made up of various apartments and holiday cottages. For example, there are 4-person apartments (FR-14640-08), 4-person holiday houses (FR-14640-09) and 6-person holiday houses (FR-14640-10). The apartments and holiday houses are fully furnished in a comfortable design and all have a balcony or terrace. WiFi is available in the accommodations for a fee (there is free WiFi at the reception). This extremely prettily restored house is close to Mont St Michel, St Malo and Granville. From here you will be able to practise green tourism with footpaths and bridle and cycle tracks nearby, or you could go fishing in the river Selune which is not far away. Trying the local produce could also be on your programme of activities! Discover the Cotentin Peninsula and the Channel Islands. The accommodations of the holiday village have been recently renovated. In a setting of 6 hectares scattered with dunes, the holiday village is composed of 100 detached houses, divided in hamlets. Facilities and leisure: Laundry, parking. Bar / snack-bar throughout the season. Library. Baby foot. Stadium for sports (volleyball, basketball, football, badminton), boules court, slackline, the Square with games for children. Mountain bike trails, hiking and nature trails. Vegetable garden. Heated indoor swimming pool (13 x 9 meters) - unsupervised Fitness area: jacuzzi, hammam and fitness activity sessions during school holidays Animations for children, adolescents and adults during the school holidays. Highlights of the village: Accommodations renovated in 2012. The English Channel and beaches less than 500 meters away. In all accommodations: The accommodations are all equipped with a kitchenette (dishwasher, microwave, four ceramic hotplates, refrigerator with freezer, coffee maker, kettle, toaster), bathroom with shower, sink, toilet and a terrace with garden furniture. Gite 3 rooms 5 persons Surface : 32 m² Kitchen area Living room with sofa bed (160) with TV Bedroom with 1 single bed + 1 bunk bed (80) Shower room, separate WC. Terrace + garden furniture. A baby bed can be added in the living room. Please note that pictures regarding the interior of the accommodation are given with indicative title only. Bathroom package: bath towel, small towel, bath mat Comfort Plus Package: beds made on arrival, bathroom package, final cleaning *If this package is desired, all persons occupying the accommodation must book it. For a stay of 2 weeks or more, sheets and towels are changed once in mid-stay (beds not remade). Full board or half board option: bed linen and towels provided (beds made on arrival). Nature discovery: the Cotentin peninsula, Jersey and Guernsey, the Hague Cape, the Regional Park of Cotentin, the Val de Saire. Cultural discovery: the D-day landing beaches, the Museum of Liberty in Quinéville, the Museum of Sainte-Mère-L'Eglise, the Peace Memorial in Caen, Barfleur, one of the "Most Beautiful Villages of France", Cherbourg. Gastronomic discovery: camembert, cider, seafood. Sports discovery: fishing on foot, sea kayaking, golf 9 holes, hiking, biking. Tourist attractions: Barfleur: one of the "most beautiful villages in France". Cherbourg and the Cité de la Mer World War II: The D-day landing beaches (Utah Beach, Omaha Beach), the Museum of Liberty in Quinéville, Museum of airborne troops in Sainte-Mère-l'Eglise, the museum of the landing at Arromanches, the Batteries of Azeville, the Anglo-American cemeteries, the Peace memorial in Caen. The Cotentin peninsula The Mont Saint Michel The Channel Islands: Jersey and Guernsey. Natural sites: the marshes of Cotentin, the Hague Cape. Activities and leisure: water sports: sailing, kayaking, windsurfing, catamaran sailing; golf 9 holes (6 km away); fishing on foot. Please note that the week-end of 2 or 3 nights, the mid-week of 4 nights and the special packages (arrangements) are only available on request. In case you wish to make a booking for one of these please contact Tour Operator in advance in order to check the availability with the owner. Free services: Baby kit: baby bath, folding baby bed, highchair - to be booked in advance, subject to availability Baby equipment suitable for children up to 2 years old TV Parking WiFi only in the reception area Fee-paying services: Launderette Bath linen rental (bath towel, hand towel, bath math) Final cleaning Comfort plus package (beds made + towel kit + final cleaning) Bed linen rental Covered parking Other information: Fitness area: jacuzzi, hammam. Free access. Open daily from 10 am to 7 pm. Not allowed for children under 16 years old. Every week during school holidays, will be proposed 5 sessions of fitness activities included in the entertainment program (muscle toning, soft or tonic gym, stretching, water aerobics). Pets are accepted (except in common areas) in leash and with current vaccination certificate and tattoo or microchip, upon prior reservation and extra charge. Pets that are considered to be dangerous (especially dogs of category 1 and 2) and/ or animals which are not considered as pets will not be allowed. To be paid on the spot: the tourist tax (price per night per person starting from 13 years old). A deposit per accommodation is required on arrival and will be returned provided that the accommodation is left clean and in good order. Meal Plan For full board and half board, the occupancy of the accommodation must correspond to at least the total capacity proposed (paying guests) minus 1 bed except for studios 2 people where the occupation must correspond to the total capacity. Full board and half board meal plans are not available all season and may vary from one destination to another. Option booking not available Please note: the rates do not include the mandatory hirers' liability insurance. This small amount is a percentage of the rental sum starting from 10 Euros per reservation. Discover the Cotentin Peninsula and the Channel Islands. The accommodations of the holiday village have been recently renovated. In a setting of 6 hectares scattered with dunes, the holiday village is composed of 100 detached houses, divided in hamlets. Facilities and leisure: Laundry, parking. Bar / snack-bar throughout the season. Library. Baby foot. Stadium for sports (volleyball, basketball, football, badminton), boules court, slackline, the Square with games for children. Mountain bike trails, hiking and nature trails. Vegetable garden. Heated indoor swimming pool (13 x 9 meters) - unsupervised Fitness area: jacuzzi, hammam and fitness activity sessions during school holidays Animations for children, adolescents and adults during the school holidays. Highlights of the village: Accommodations renovated in 2012. The English Channel and beaches less than 500 meters away. In all accommodations: The accommodations are all equipped with a kitchenette (dishwasher, microwave, four ceramic hotplates, refrigerator with freezer, coffee maker, kettle, toaster), bathroom with shower, sink, toilet and a terrace with garden furniture. Gite 3 rooms 6 persons Surface: 32 m² Kitchen area Living room with sofa bed (160) with TV Bedroom with 2 bunk beds (80) Shower room, separate WC. Terrace + garden furniture. A baby bed can be added in the living room. Please note that pictures regarding the interior of the accommodation are given with indicative title only. Bathroom package: bath towel, small towel, bath mat Comfort Plus Package: beds made on arrival, bathroom package, final cleaning *If this package is desired, all persons occupying the accommodation must book it. For a stay of 2 weeks or more, sheets and towels are changed once in mid-stay (beds not remade). Full board or half board option: bed linen and towels provided (beds made on arrival). Nature discovery: the Cotentin peninsula, Jersey and Guernsey, the Hague Cape, the Regional Park of Cotentin, the Val de Saire. Cultural discovery: the D-day landing beaches, the Museum of Liberty in Quinéville, the Museum of Sainte-Mère-L'Eglise, the Peace Memorial in Caen, Barfleur, one of the "Most Beautiful Villages of France", Cherbourg. Gastronomic discovery: camembert, cider, seafood. Sports discovery: fishing on foot, sea kayaking, golf 9 holes, hiking, biking. Tourist attractions: Barfleur: one of the "most beautiful villages in France". Cherbourg and the Cité de la Mer World War II: The D-day landing beaches (Utah Beach, Omaha Beach), the Museum of Liberty in Quinéville, Museum of airborne troops in Sainte-Mère-l'Eglise, the museum of the landing at Arromanches, the Batteries of Azeville, the Anglo-American cemeteries, the Peace memorial in Caen. The Cotentin peninsula The Mont Saint Michel The Channel Islands: Jersey and Guernsey. Natural sites: the marshes of Cotentin, the Hague Cape. Activities and leisure: water sports: sailing, kayaking, windsurfing, catamaran sailing; golf 9 holes (6 km away); fishing on foot. Please note that the week-end of 2 or 3 nights, the mid-week of 4 nights and the special packages (arrangements) are only available on request. In case you wish to make a booking for one of these please contact Tour Operator in advance in order to check the availability with the owner. Free services: Baby kit: baby bath, folding baby bed, highchair - to be booked in advance, subject to availability Baby equipment suitable for children up to 2 years old TV Parking WiFi only in the reception area Fee-paying services: Launderette Bath linen rental (bath towel, hand towel, bath math) Final cleaning Comfort plus package (beds made + towel kit + final cleaning) Bed linen rental Covered parking Other information: Fitness area: jacuzzi, hammam. Free access. Open daily from 10 am to 7 pm. Not allowed for children under 16 years old. Every week during school holidays, will be proposed 5 sessions of fitness activities included in the entertainment program (muscle toning, soft or tonic gym, stretching, water aerobics). Pets are accepted (except in common areas) in leash and with current vaccination certificate and tattoo or microchip, upon prior reservation and extra charge. Pets that are considered to be dangerous (especially dogs of category 1 and 2) and/ or animals which are not considered as pets will not be allowed. To be paid on the spot: the tourist tax (price per night per person starting from 13 years old). A deposit per accommodation is required on arrival and will be returned provided that the accommodation is left clean and in good order. Meal Plan For full board and half board, the occupancy of the accommodation must correspond to at least the total capacity proposed (paying guests) minus 1 bed except for studios 2 people where the occupation must correspond to the total capacity. Full board and half board meal plans are not available all season and may vary from one destination to another. Option booking not available Please note: the rates do not include the mandatory hirers' liability insurance. This small amount is a percentage of the rental sum starting from 10 Euros per reservation. Discover the Cotentin Peninsula and the Channel Islands. The accommodations of the holiday village have been recently renovated. In a setting of 6 hectares scattered with dunes, the holiday village is composed of 100 detached houses, divided in hamlets. Facilities and leisure: Laundry, parking. Bar / snack-bar throughout the season. Library. Baby foot. Stadium for sports (volleyball, basketball, football, badminton), boules court, slackline, the Square with games for children. Mountain bike trails, hiking and nature trails. Vegetable garden. Heated indoor swimming pool (13 x 9 meters) - unsupervised Fitness area: jacuzzi, hammam and fitness activity sessions during school holidays Animations for children, adolescents and adults during the school holidays. Highlights of the village: Accommodations renovated in 2012. The English Channel and beaches less than 500 meters away. In all accommodations: The accommodations are all equipped with a kitchenette (dishwasher, microwave, four ceramic hotplates, refrigerator with freezer, coffee maker, kettle, toaster), bathroom with shower, sink, toilet and a terrace with garden furniture. Gite 3 rooms 4 persons Surface: 32 m² Kitchen area with TV. Bedroom with double bed (140) Bedroom with 2 single beds (80) Shower room, separate WC. Terrace + garden furniture. A baby bed can be added in the bedroom with double bed Please note that pictures regarding the interior of the accommodation are given with indicative title only. There is a limited number of units that are wheelchair accessible and/or have adjustments in the house for disabled persons. Please contact us for information about the adjustments present to see if they match your needs. You can book this preference on request based on the availability. The toilets are not separated in the PRM accommodations. The common areas and leisure spaces are not adapted for PRM, it is essential that the persons with reduced mobility to be accompanied. Bathroom package: bath towel, small towel, bath mat Comfort Plus Package: beds made on arrival, bathroom package, final cleaning *If this package is desired, all persons occupying the accommodation must book it. For a stay of 2 weeks or more, sheets and towels are changed once in mid-stay (beds not remade). Full board or half board option: bed linen and towels provided (beds made on arrival). Nature discovery: the Cotentin peninsula, Jersey and Guernsey, the Hague Cape, the Regional Park of Cotentin, the Val de Saire. Cultural discovery: the D-day landing beaches, the Museum of Liberty in Quinéville, the Museum of Sainte-Mère-L'Eglise, the Peace Memorial in Caen, Barfleur, one of the "Most Beautiful Villages of France", Cherbourg. Gastronomic discovery: camembert, cider, seafood. Sports discovery: fishing on foot, sea kayaking, golf 9 holes, hiking, biking. Tourist attractions: Barfleur: one of the "most beautiful villages in France". Cherbourg and the Cité de la Mer World War II: The D-day landing beaches (Utah Beach, Omaha Beach), the Museum of Liberty in Quinéville, Museum of airborne troops in Sainte-Mère-l'Eglise, the museum of the landing at Arromanches, the Batteries of Azeville, the Anglo-American cemeteries, the Peace memorial in Caen. The Cotentin peninsula The Mont Saint Michel The Channel Islands: Jersey and Guernsey. Natural sites: the marshes of Cotentin, the Hague Cape. Activities and leisure: water sports: sailing, kayaking, windsurfing, catamaran sailing; golf 9 holes (6 km away); fishing on foot. Please note that the week-end of 2 or 3 nights, the mid-week of 4 nights and the special packages (arrangements) are only available on request. In case you wish to make a booking for one of these please contact Tour Operator in advance in order to check the availability with the owner. Free services: Baby kit: baby bath, folding baby bed, highchair - to be booked in advance, subject to availability Baby equipment suitable for children up to 2 years old TV Parking WiFi only in the reception area Fee-paying services: Launderette Bath linen rental (bath towel, hand towel, bath math) Final cleaning Comfort plus package (beds made + towel kit + final cleaning) Bed linen rental Covered parking Other information: Fitness area: jacuzzi, hammam. Free access. Open daily from 10 am to 7 pm. Not allowed for children under 16 years old. Every week during school holidays, will be proposed 5 sessions of fitness activities included in the entertainment program (muscle toning, soft or tonic gym, stretching, water aerobics). Pets are accepted (except in common areas) in leash and with current vaccination certificate and tattoo or microchip, upon prior reservation and extra charge. Pets that are considered to be dangerous (especially dogs of category 1 and 2) and/ or animals which are not considered as pets will not be allowed. To be paid on the spot: the tourist tax (price per night per person starting from 13 years old). A deposit per accommodation is required on arrival and will be returned provided that the accommodation is left clean and in good order. Meal Plan For full board and half board, the occupancy of the accommodation must correspond to at least the total capacity proposed (paying guests) minus 1 bed except for studios 2 people where the occupation must correspond to the total capacity. Full board and half board meal plans are not available all season and may vary from one destination to another. Option booking not available Please note: the rates do not include the mandatory hirers' liability insurance. This small amount is a percentage of the rental sum starting from 10 Euros per reservation. This old, renovated country house is wonderfully situated in a rural and quiet area in the countryside, and at about 16 km from the family seaside resort of Barneville Carteret. The fenced plot has an area of 400 sqm. The terrace has an area of 35 sqm and is equipped with garden furniture, a parasol, barbecue and a beautiful view of the countryside. Cottage 100m² / Sleeps 5. 4 Bedrooms - 1 Bathroom - 1 Washroom. Countryside views. Style : Delightful stone cottage, fully renovated, with feature beams. Enclosed garden, furnished terrace and views of the surrounding countryside. 16 km from the coast, 20 km south of Cherbourg. Living/Dining room : 22m², tiled, TV, armchairs, dining table and chairs. Kitchen : 20m², tiled, oven, microwave, dishwasher, electric/gas hob, fridge, pressure cooker, toaster, coffee machine, buffet, table and chairs. 4 Bedrooms, 1 Shower room, 1 Washroom, 2 Separate wc's: Bedroom 1 : first floor, 12m², carpet, double bed, chest of drawers, wardrobe. Views of countryside. Bedroom 2 : first floor, 6m², carpet, single bed and lamp. Window with country views. Bedroom 3 : first floor, 12m², parquet floor, a large single bed (110cm), cupboard, side table and lamp. Window with country views. Bedroom 4 : first floor, 12m², carpetted, large single (120cm) side table and lamp, shelving. Window with country views. Shower room : separate, ground floor, 5.5m², bath, basin, bidet. Washroom : separate, first floor, 3m², PVC flooring with basin and wc (no shower). 2 separate wc's : 1 ground floor and 1 first floor. Household information: TV Cot Wooden staircase Sorry, no pets Parking for 2 vehicles on site No disturbances. Grounds: 400 m², enclosed. Terrace : 35m², garden furniture, barbecue, parasol and countryside views. Situated in northern Normandy, half way between Valognes and the western coast of the Cotentin peninsula, in a peaceful area not far from the sea. 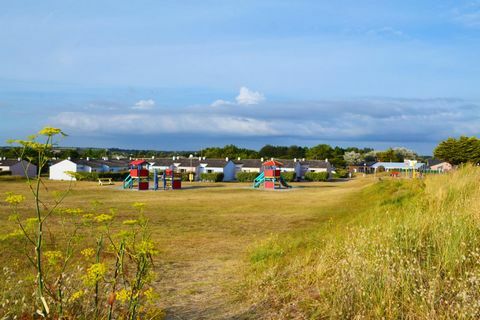 25 km from the popular seaside resort of Barneville-Carteret with its beach activities. This exceptional site sheltered by the cap de Carteret, opposite Jersey, offers an unforgettable holiday of sun, watersports and discovery of the region''s rich heritage and local products. Environement : Set in the countryside, 16 km from the coast and a short drive from Cherbourg. Sea: 16 km Beach: 16 km Shopping centre: 4 km Shops: 4 km Doctor: 4 km Town centre: 4 km Hospital: 20 km (Cherbourg) Riding: 6 km Golf: 16 km Night club: 8 km. PLACES TO VISIT: Valognes. 13 km. Market town at the heart of the Cotentin Peninsula with Gallo-Romain ruins, 11th-18th century churches and 18th century private mansions when Valognes was the Versailles of Normandy. Cherbourg. 20 km. Lively city with many shops, restaurants and bars. Not to miss, the Cité de la Mer showing the many facets of underwater exploration with human adventure as its main theme. It includes the "Redoutable", a former French Navy submarine, now a museum and the largest submarine in the world open to the public. Ste Mère Eglise. 30 km. First town to be liberated after the D-Day landings hosting the Airborne Troops Museum with memorabilia of the time. St Vaast la Hougue. 30 km. Fishing harbour renowned for its oyster production and popular seaside resort with marina. THINGS TO DO: Golf de Cherbourg, La Glacerie. 15 km. Golf course. 9 holes Par 72 - 5780m. A beautiful course on the heights of Cherbourg with tree-lined and narrow fairways and small well-protected greens. Forest Adventure en Cotentin, St Sauveur le Vicomte. 20 km. Tree top adventure park. At the heart of the forest, in the Marais du Cotentin and Bessin National Park, trails offering adventures from tree to tree, with zip lines, nets, walkways and bridges. Different courses, tailored to the levels and tastes of all, for both adults and children. Chateau de Pirou. 50 km. Beautiful little castle, thought to be the oldest in Normandy, dating back to the earliest Viking raids. Zoo de Champrepus, Villedieu les Poëles. 95 km. Animal park. 50 species in an exotic environment. Safeguard of rare species in process of disappearance, 7 hectares of grounds with monkey bars, educational and fun courses. Also miniature farm, ideal for small kids with interactive activities and a game park. FURTHER AFIELD: Tatihou Island. 30 km. Just off the coast from the little port of Saint-Vaast-la-Hougue, an inhabited and fortified island with maritime museum. Also a paradise for nature lovers and in particular birdwatchers. Coutances. 60 km. Old hill town overlooked by its stunning half-gothic half-Norman cathedral. No to miss on Summer evenings when a sound and light show makes the most of this dramatic building. Granville. 90 km. Port and lively seaside resort with pleasant long beach and fortified old centre looking out towards the Channel islands. Ferries to the Channel islands and Iles Chausey. Mont St Michel. 135 km. Stunning monastery built on a small rocky island linked to the mainland by a causeway. Second most popular tourist attraction in France, it is a real delight to wander the narrow street with shops, hotels and restaurants leading to the abbey, or stroll in the gardens. Guided tour of the abbey itself. HOW TO GET THERE: Low cost flights from UK to Rennes (2 hrs 30mn), Dinard (2 hrs 30mn). Ferries to Cherbourg (30mn) and Caen (1 hr 30mn). To be paid on site: Security deposit: 400€ cash Optional end of stay cleaning: 50€, otherwise the property and grounds must be left as found Electricity and heating: upon meter reading (around 0,32€/ kw/h) Please bring your own bed linen and towels. Option booking not available Please note: the rates do not include the mandatory hirers' liability insurance. This small amount is a percentage of the rental sum starting from 10 Euros per reservation.